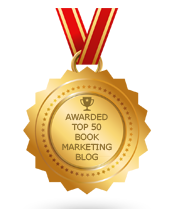 BookMarketingBuzzBlog: What Should I Do Today To Market My Book? Let’s say you are an author who understands that you are responsible for your book marketing, whether or not you have a publisher. Let’s also say you have some time, money, and resources, available to support your efforts. Exactly what should you be doing right now? Authors should operate out of a plan. So step one is to create a book marketing and publicity plan. This provides a detailed overview of what will be done by whom, for how long. It includes a budget as well. The plan can include publicity (pursuing traditional/digital means), social media (what you will generate), speaking, advertising, and other options, such as telemarketing, direct mailing, e-blasting, or networking. Once that plan is crafted and reviewed, give it a reality-check – Do you allow for enough time to execute an item? Do you begin by the right date? Do you have enough funds to get what you want? Have you anticipated pitfalls, challenges, failures, or short comings – and built in contingency plans? Eventually, your brainstorming, researching, planning, and communicating with supportive cast members subsides, giving way to doing the heavy lifting. There’s no turning back now – and failure is not an option. You will start to see patterns unfold – some things are working better than anticipated, so you double down on them. Other areas will come up surprisingly short, and you either have to abandon them or retool so that you can still make a go at them. As you get deeper into your book marketing campaign, you will suffer highs and lows – emotionally, physically, intellectually, and psychologically. That’s natural. Celebrate your successes and learn from your failures. Try to keep an even keel throughout, so that you don’t become manic. When your book marketing campaign either takes off or stalls, you’ll likely get feedback or suggestions from those closest to you, or from venders and partners in this endeavor. It does no harm to listen and see if the chatter sparks an idea or infuses a burst of energy into your efforts. But unless you see specific evidence to do the contrary, stick to your plan and follow your gut instincts. As you work through your book marketing campaign you may start to question why you are doing what you are doing. Don’t litigate the issues again – you already debated how to proceed. Always think of your goals and why you undertook a book publicity campaign in the first place. Keep your eye on the prize and don’t blink. Success comes to those who persevere to fulfill their vision.